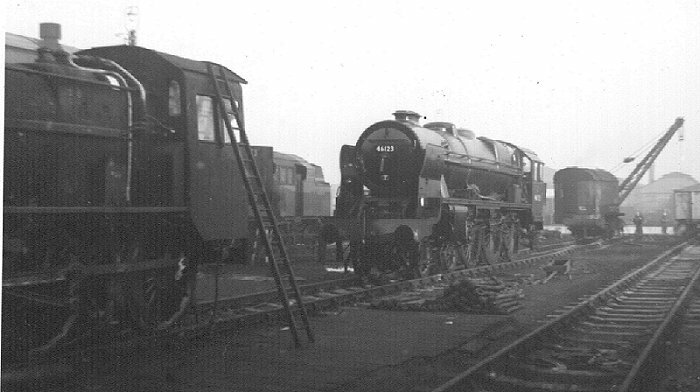 Ex LMS rebuilt Royal Scott 7P 4-6-0 46123 Royal Irish Fusilier receiving attention in Crewe Works 1960. How I loved these Sunday afternoon trips, we sent our 10p donation to the Railway Orphans fund got a pass back then waited to be let loose round the works. Loco 84 tons 18 cwt Driving Wheel: 6' 9"